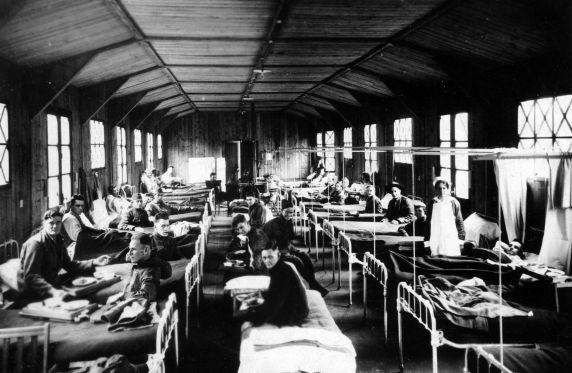 An interior view of the Gassed Patients Ward at Base Hospital # 17 in Dijon, France. Miss Hellgrew stands on the right side. Note: Windows are reinforced against air raids with crossed strips of paper.